Manufactured in the UK from food grade non stick flexible silicone rubber. Suitable for multi use including the following materials: Sugarpaste, flower paste, modelling paste, fondant, marzipan, cold porcelain salt dough, fimo, sculpey, polymer clay, chocolate, ice and soap. Great detail in each mould. Can be reused many times. These moulds do not require the use of any release agent before use. Can be washed with hot soapy water like any other kitchen implement. The picture shows the mould itself, together with examples of what can be produced (These are shown for illustration only and are not included in the sale). 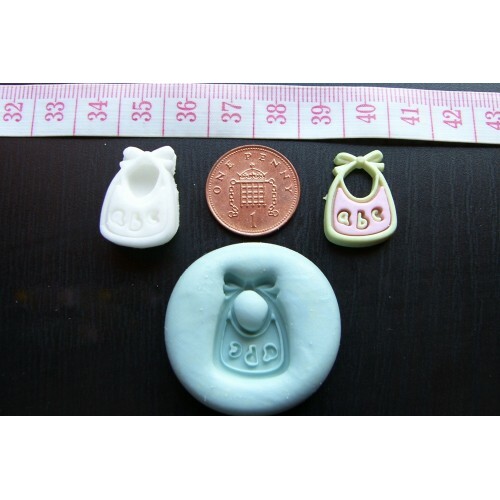 The examples are sugarpaste cake decoration uncoloured and original item used to make mould.